I’m also a big fan of intentionality: taking a few moments to clarify how and why I want to do something. I find it helpful from the most macro level — what is your intention for this year? for your life? for your career? — to the most fine-grained level — what is your intention for this conversation? for the day? for this email? When it comes to improving my skill at something, to that elusive “getting better”, I find the concept of “deliberate practice” intriguing. If you haven’t seen the recent buzz around “deliberate practice”, it is the idea that you should carefully consider the way you practice to optimize your gains. On the surface, this advice makes a lot of sense: hard to argue with being more thoughtful, right? As a chronic striver, I have a tendency towards perfectionism; planning and over-optimizing are my comfort foods. I suspect I’m not alone: striving and perfectionism are correlated. Often those of us with a less-than-healthy ability to say “good enough” have a strong drive to get (even) better at what we do, to practice. Add this tendency towards unhealthy perfectionism to the idea that practice should be “deliberate”, and you end up with hours spent in painstaking consideration of the results of yesterday’s practice, careful planning for tomorrow’s practice, and no practice today at all. If you’re, like me, excellent at overthinking, you’ll be better off with a little less focus on the “deliberate” part of “deliberate practice”, and an emphasis on throwing more pots. “Throw more pots” refers to a story about a pottery teacher who decided to run an experiment on her class of pottery students. She told half her students that their grades would depend on the quality of the pots they produced. She told the other half that she would grade them based only on the number of pots they made. 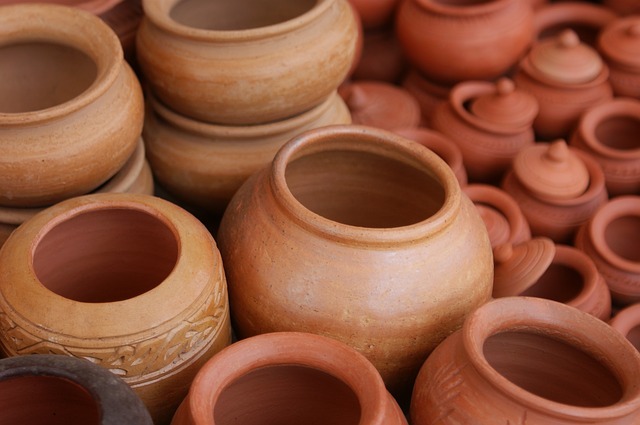 At the end of the term, the students who thought their grades depended on the volume of their output were also the ones who could produce the best pots. They had practiced so much that they had become excellent at making pots. Throwing more pots is a more effective strategy to get better at pottery than obsessing over making each pot perfect. Advocates of deliberate practice point out the dangers of practice without reflection. They argue that this is how you create bad habits. Or worse: this is how you waste time practicing without improvement. But when I focus on producing something, I’m already learning how to get better. I find myself absorbing new information and integrating it as I practice — building muscle memory, growing an intuition. That’s why, for me, “throw more pots” is a much better rule of thumb than “practice deliberately”. After enough practice, deliberation stops being an excuse for procrastination. Also, it is fun to throw more pots! We worry less about perfecting the practice itself, and more about the craft itself. When we approach our practice as play, we are more likely to enjoy it and be willing to come to it again tomorrow. And that’s what practice is all about.